A few weeks ago I was contacted by imm Living and asked to participate in their annual Choo Choo Chooses event along with some fellow HGTV Design Star alumni, featuring a few products from a new line of their modern meets traditional white ceramic line. There products have been featured on Martha Stewart Living and Country Living to name a few… So of course I said yes, especially when I saw the fun, yet oh-so-quirky items I got to work with. They put a smile on my face and I hope they put a smile on yours too! I have always described my own personal style as fun yet quirky traditional. I like classic looks paired with a little bit of funk. They asked me to incorporate their pieces into my own design, but since most of you know I am currently homeless right now (read what I’ve been up to here), I had to rely on the goodness of my family and friends! It just goes to show you how versatile imm Living’s designs are… because you can see how the other two designers ( http://imm-living.com/immchoochooses/ ) used them too. Ok. I am just dying over these antler jewelry holders! Are they not to die for cute? I think they would go in any kind of decor… traditional to modern. I am smitten. I have displayed these with some letters that were of importance to to my mother in law (MIL). She loves to read and has a huge library of books. To add some interest to her collection of books while adding importance and attention to her letters she received from 3 different Presidents of the United States. But these would also look very nice in an office to use for opening mail… as they are not only beautiful, but fully functioning. This is my sister in law Leah’s brand spanking new kitchen… she like me loves turquoise. =) I think these hooks were designed more to be hung upright and hold necklaces, but I thought they would also be cute in the kitchen holding various utensils and hot pads. This clock screamed at me, “I want contrast! !” I think this would have been so adorable in my daughter’s black and white bedroom, but I am also loving it against the turquoise wall. I had a lot of fun with this last set of items… and it includes some quirky place card holders as well as a juicer. When I looked these, I had 2 directions I could go. Ultra modern, or country. It seemed kismet to go country this time as I am currently living on my in-laws awesome farm while we house hunt. How perfect that there are cows and chickens right out side… but if you long for that feel, you can still have it with these lovely little guys. How adorable is this juicer (pictured above too)? How fun would it be to get the kids involved with making fresh OJ. Even though this was a country breakfast, bold damask paired with imm Living’s collection made this breakfast feel “a little bit country and a little bit rock and roll”! 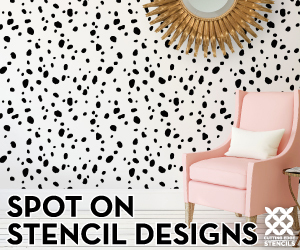 Imm Living (designer/manufacturer) has given me a set of everything you have seen to give away, but they have teamed up with Burke Decor, an awesome online design store for those of you who just can’t wait. They are offering in conjunction with the Choo Choo Chooses event all you wonderful Designed to the Nines readers a 15% off discount! Just use at check out the code: IMMLIVING. 1. Go to Burke Décor and look at the IMM Collection, come back and tell me which is your favorite piece out of the line. 3. Like Designed to the Nines on Facebook: www.facebook.com/designed2nines. 5. 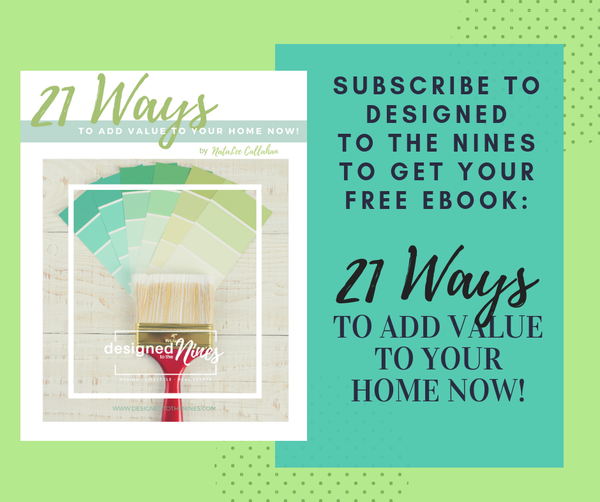 Follow Designed to the Nines/NataLee Callahan on Pinterest. Again, make sure you leave a separate comment for each task as they count as an entry. This isn’t a joke, but the giveaway will take place Sunday April 1st, at 5:00pm ET. =P Good luck! Also, if you’d like stop by my fellow Design Star alums’ blogs for more great design ideas, here are there links. My favorite from the line: Earl the Squirel. He’s so much fun! NataLee, your Easter breakfast table is BEAUTIFUL! Love all the colors. The card holders are perfect!. They do have cute decor stuff! Just checked out the Burkedecor.com web-site. I loved their “Checkmates S &P Shakers” and the “Big Top Bookends” What a great addition to a circus themed room! Thanks NataLee!